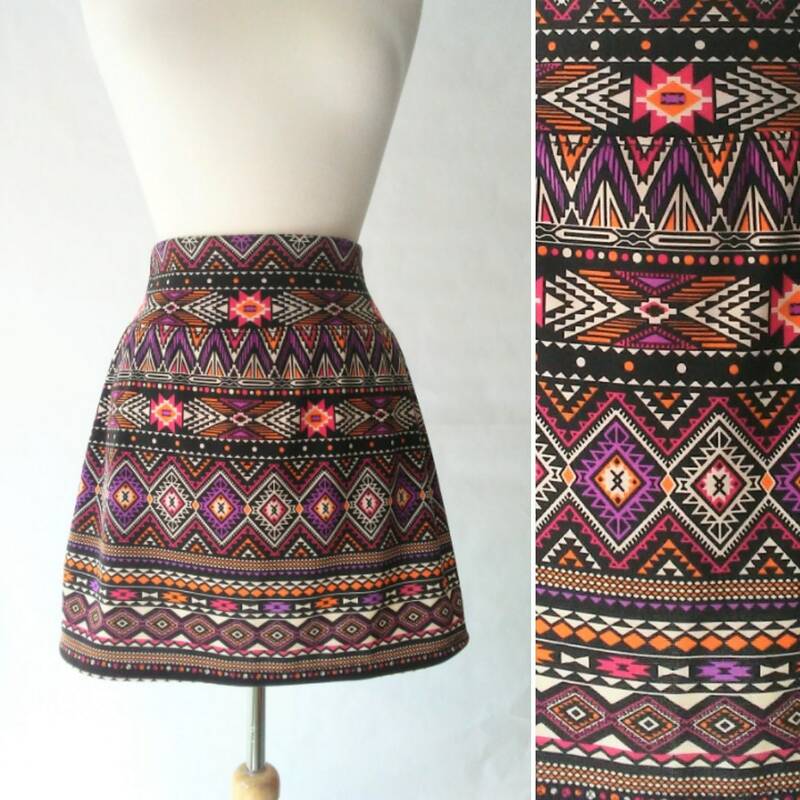 Black and purple geometric print Aline skirt. 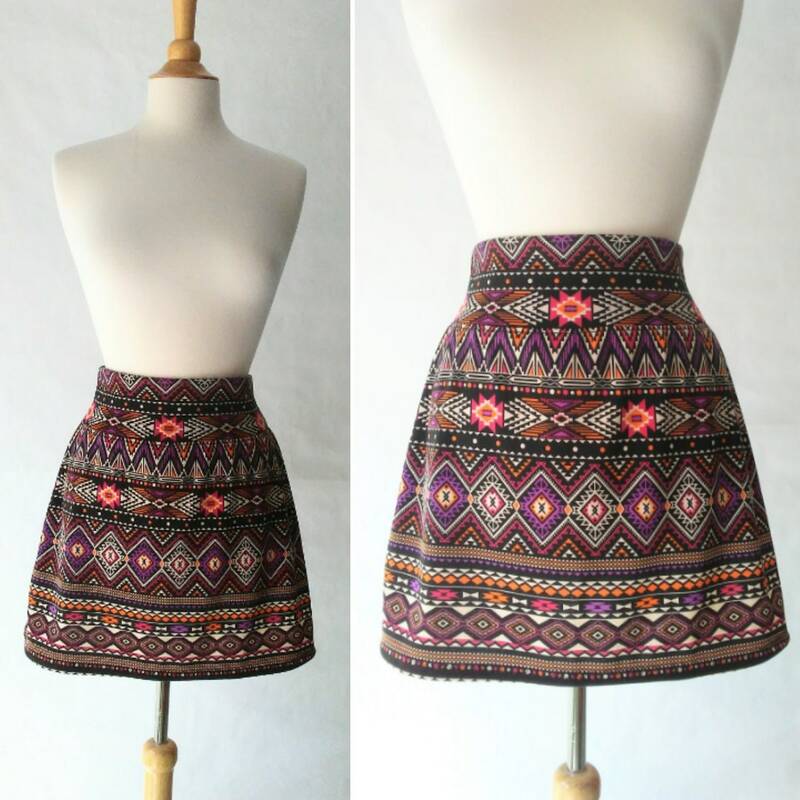 Stretch Ponte roma mini skirt. 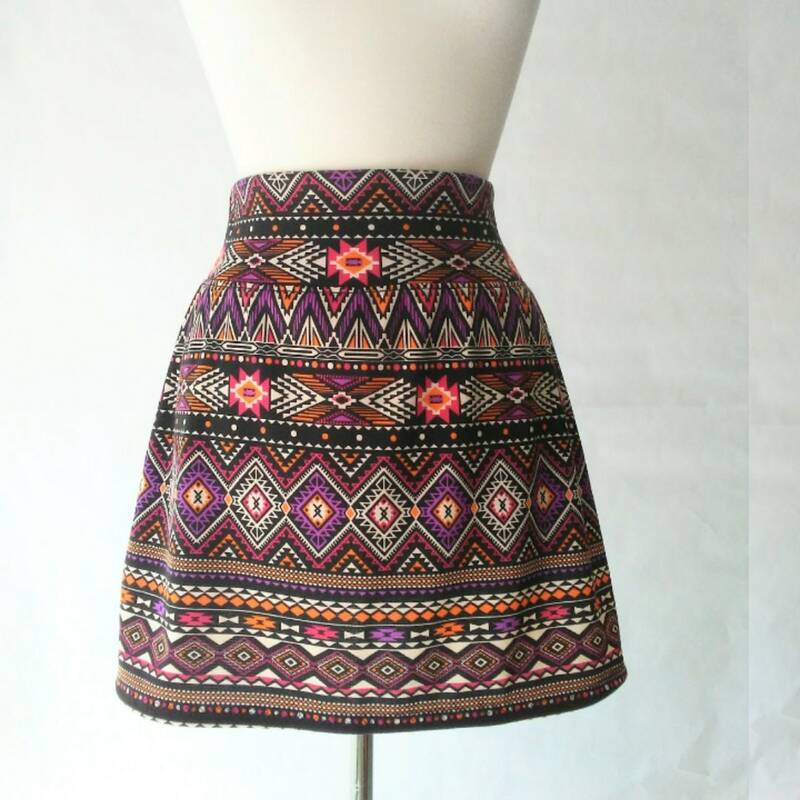 This is a pull on style with a soft stretch waistband. Above the knee mini skirt length. Soft and comfortable ~ and fun to wear over tights or leggings! Skirt Length from Below Waistband 14"
Skirt Length from Top of Waistband 17"